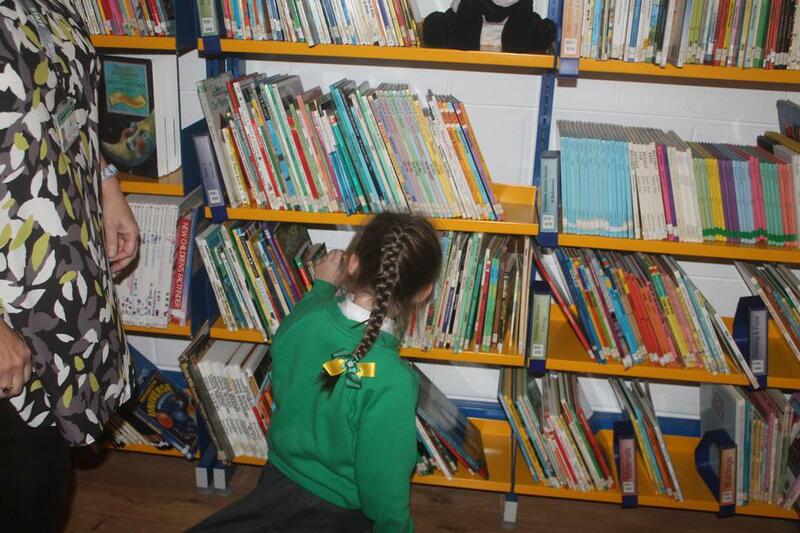 This term we decided that our school library was looking a little tired and needed a makeover...cue Miss Withey and her magic wand! 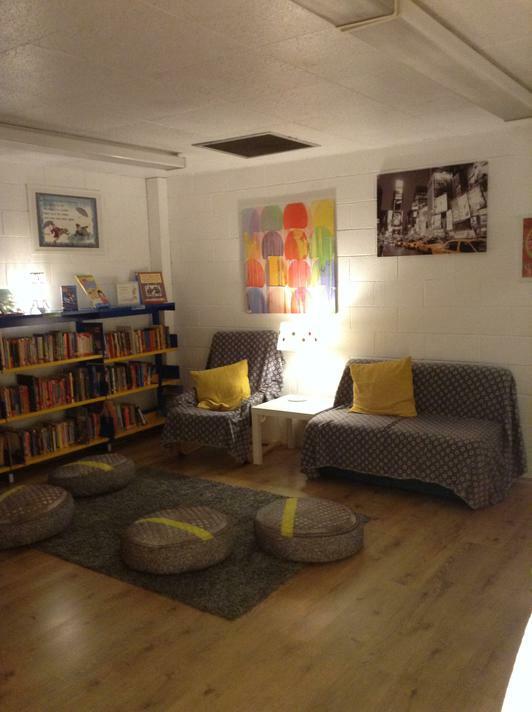 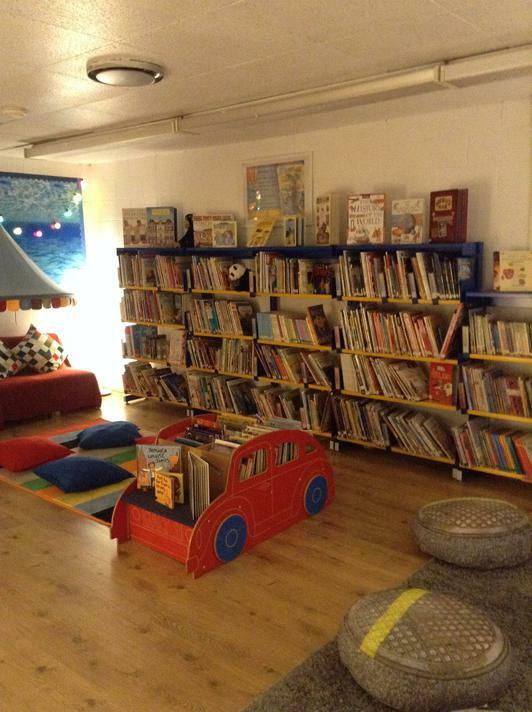 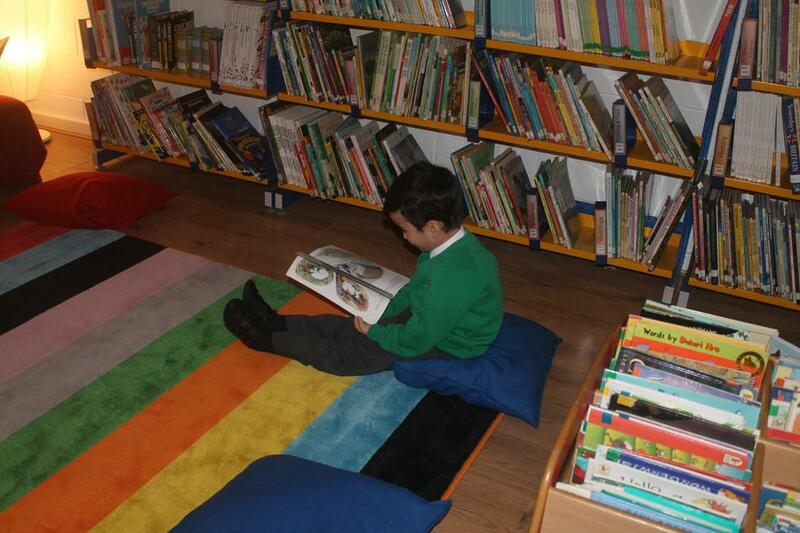 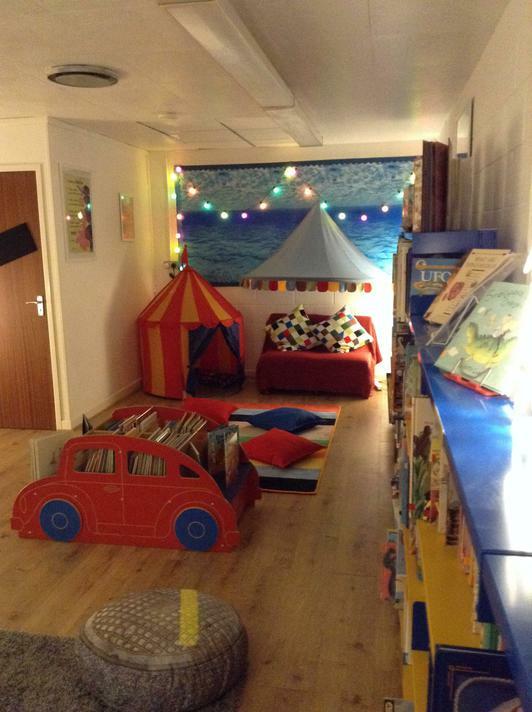 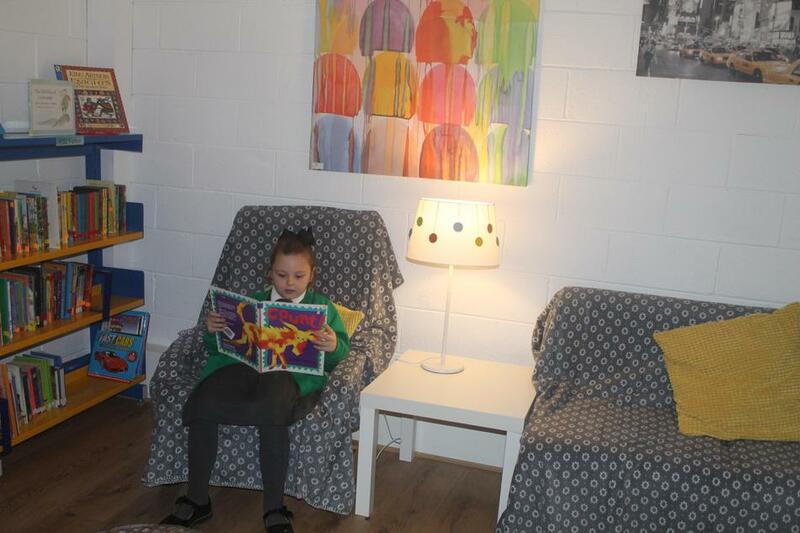 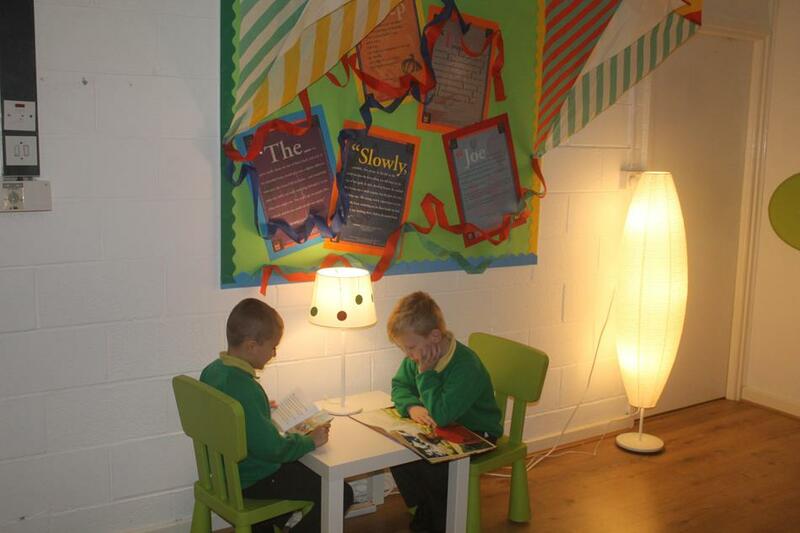 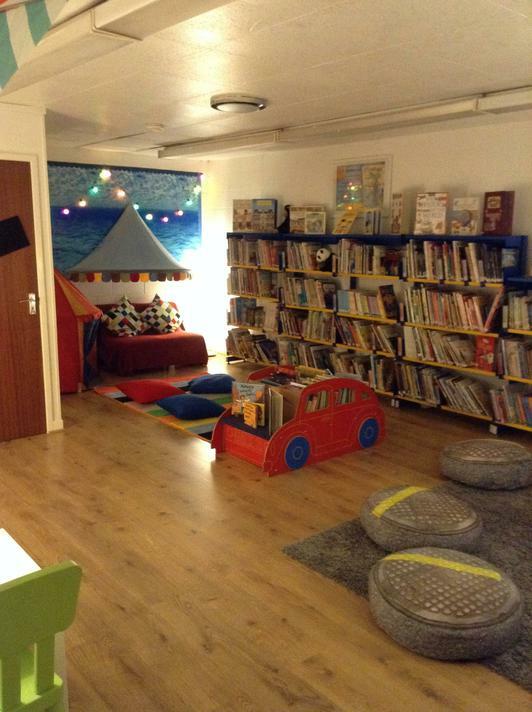 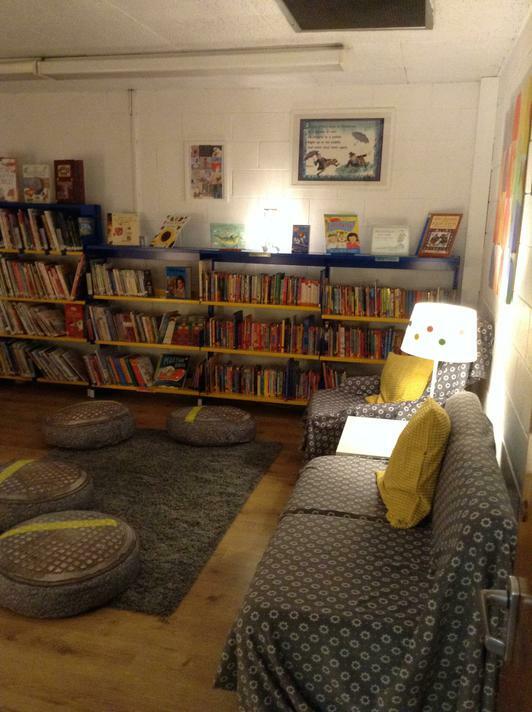 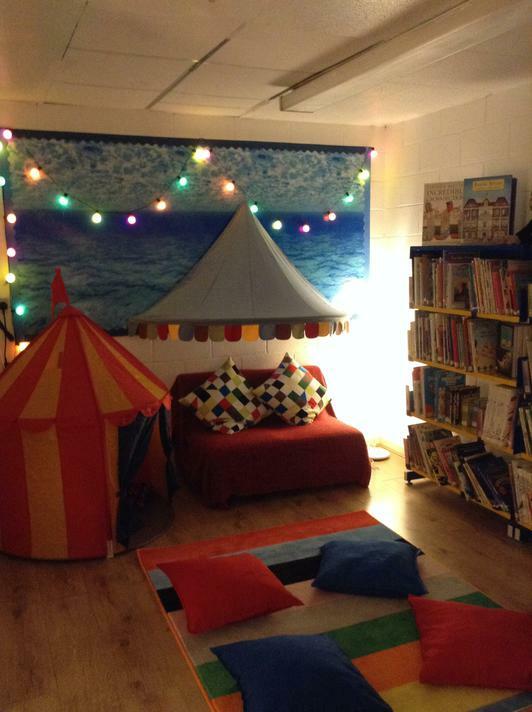 We are thrilled to reveal our newly refurbished school library; a cosy, comfy, welcoming space in the centre of our school, where all children can relax, curl up and read a book. 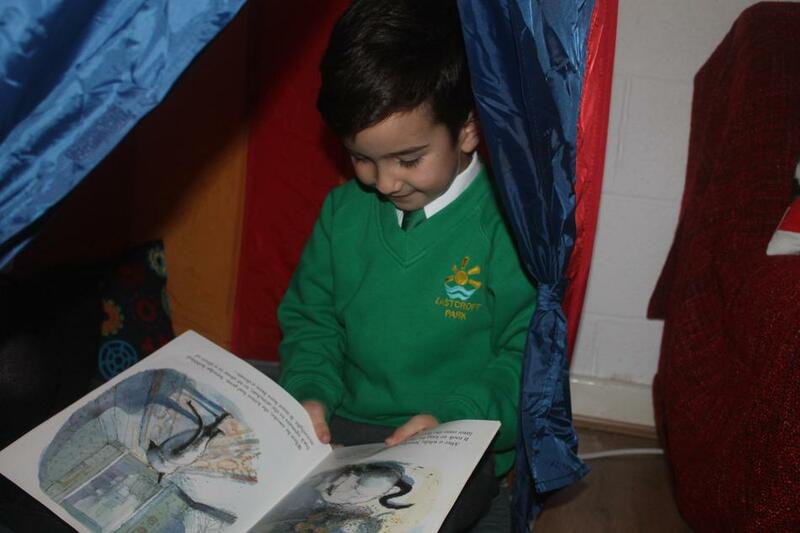 Every class now has allocated time slots when groups can enjoy reading for pleasure, delve into some fact finding or listen to a story and sail away on a myriad of adventures! 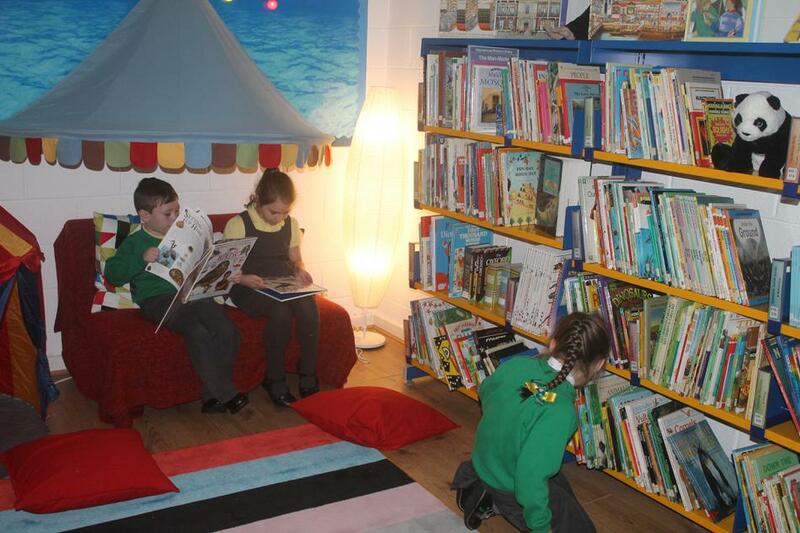 The library is open every Tuesday and Thursday lunchtime and all children are invited to choose a book to enjoy at home. 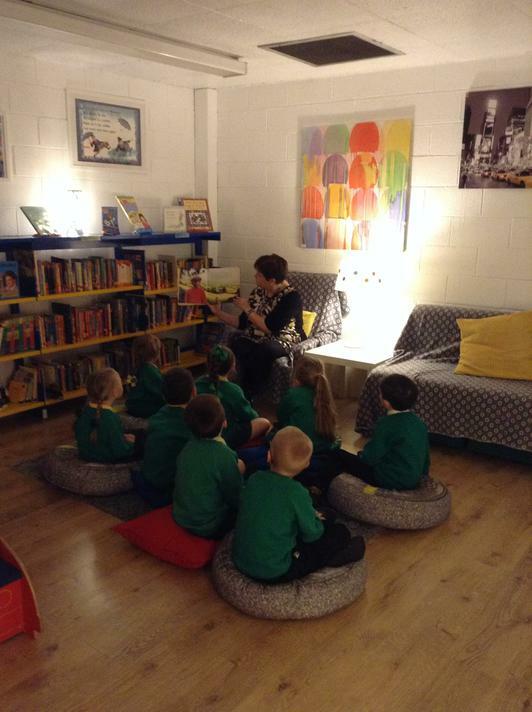 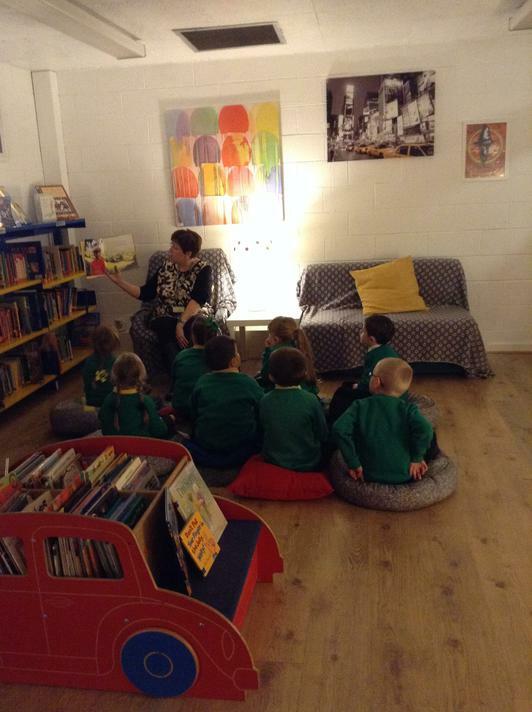 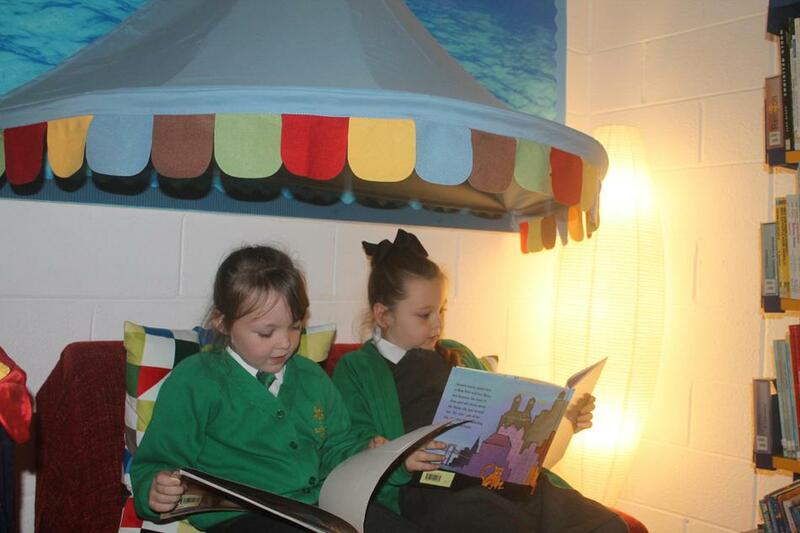 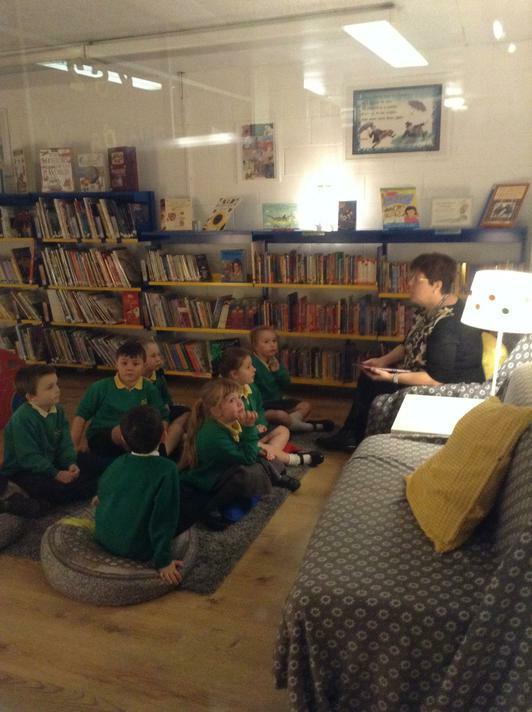 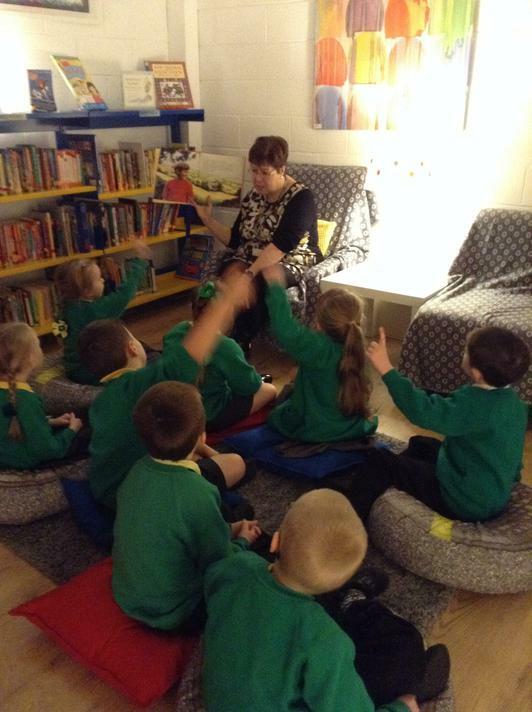 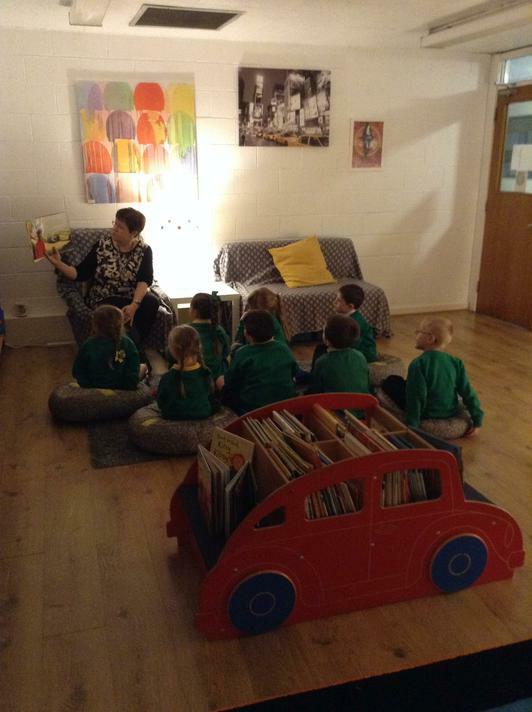 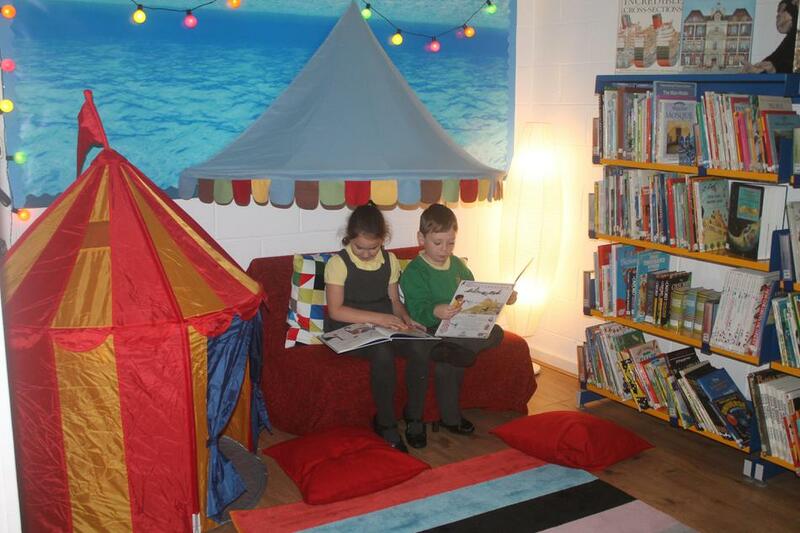 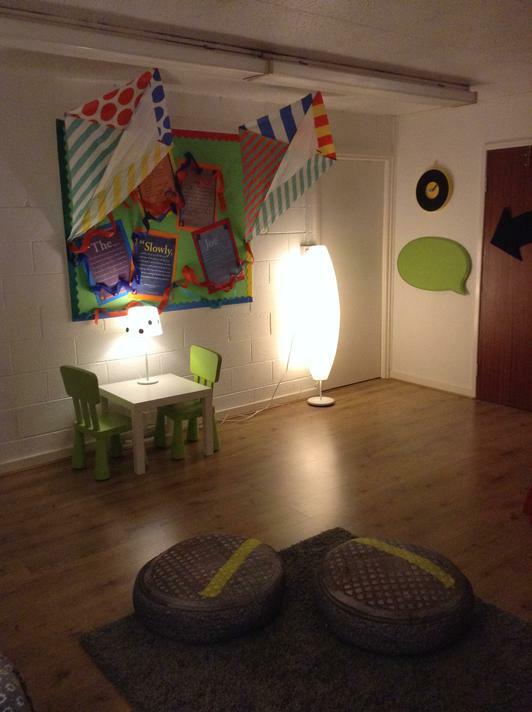 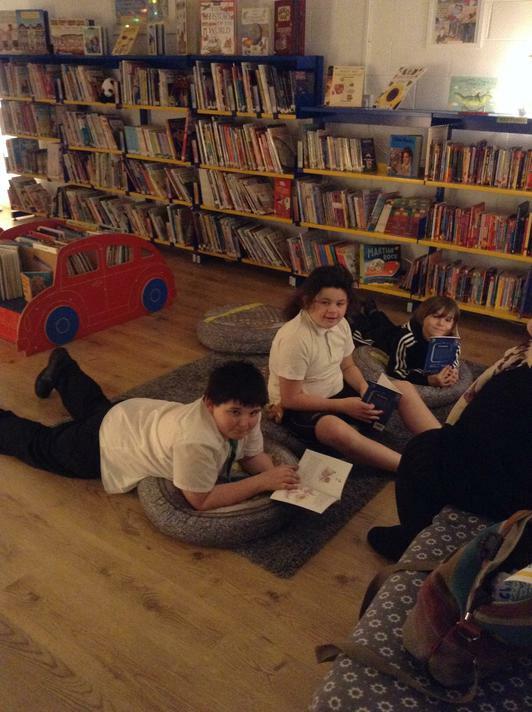 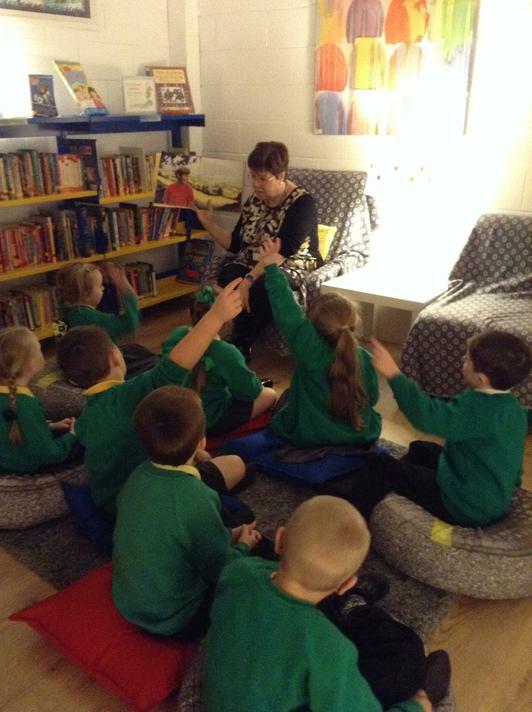 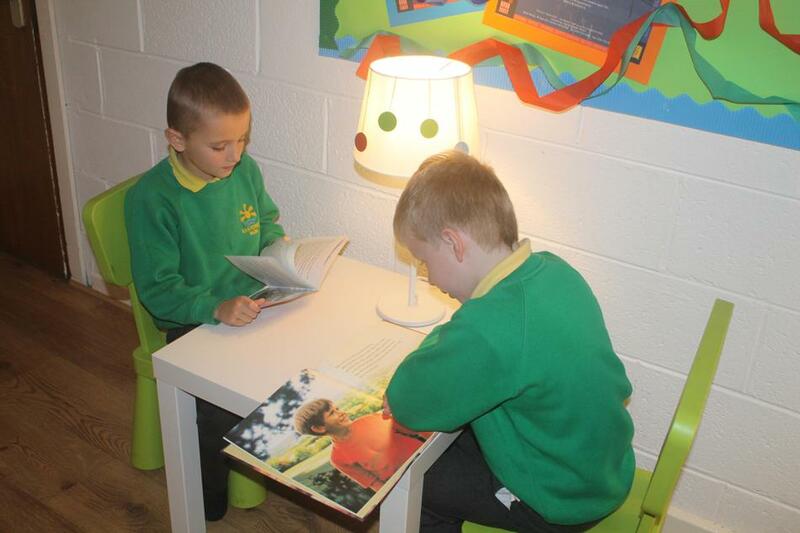 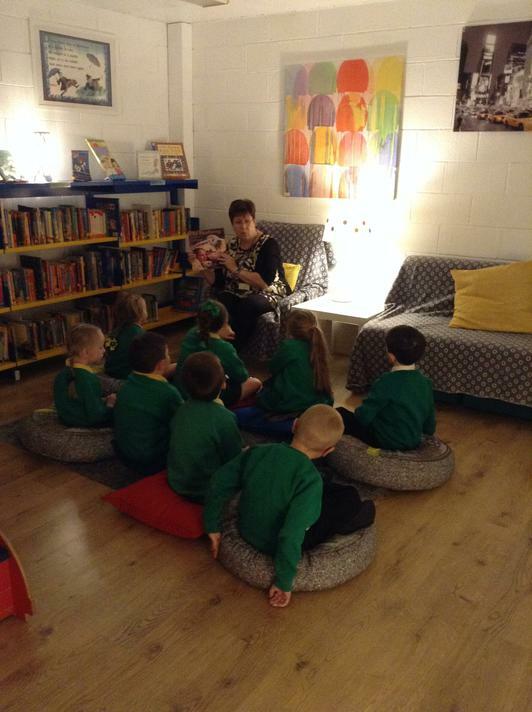 Have a peek at some of us enjoying some time in our fab new library...it's Mrs Hudson's new favourite place to hide!! 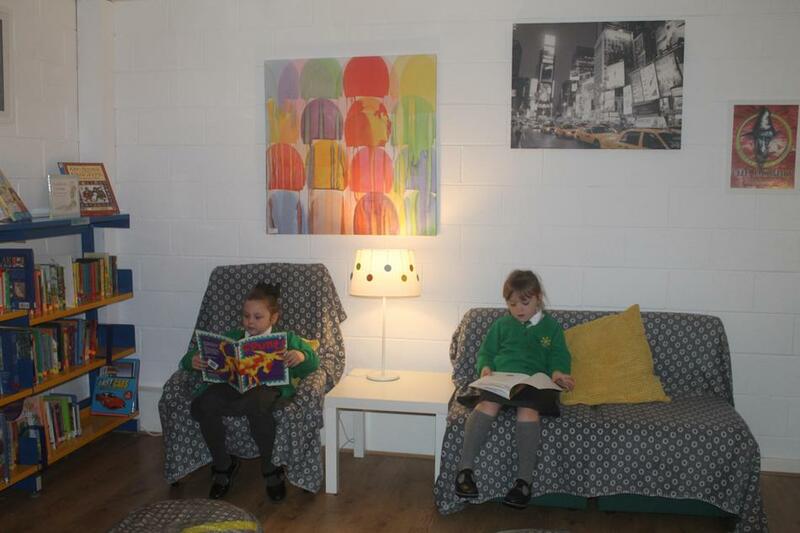 We love our new Library!